In our digital era, reaching out to the public is easier than ever before with the internet. By creating a political website, you get an opportunity to state your political views, connect with fellow-thinkers, and raise funds for candidate campaigns. NING is here to help you build the online presence from the ground up and leverage the power of the internet for your political undertakings. Build a stunning website using beautiful design templates and simple customization tools. Enhance your website functionality with amazing content sharing and networking features. Safe connection through the HTTPS protocol, full control over personal data, and adjustable privacy settings. Create any number of pages or delete them anytime. Managing website content requires no tech skills at all. Monetize your website using three available methods: Paid Access, Paid Membership, and Donations. Any problems you might encounter will be efficiently resolved by our professional and friendly support team. No matter whether you are a candidate or just a concerned citizen attempting to draw the public eye to a pressing issue, your visibility on the internet determines how successful your outreach efforts will turn out to be. Creating a political website on NING, you can be sure it will be seen on major search engines. Procuring extra funds for your candidate campaign can bring you closer to success. Your NING website can help you raise money through Donations and other means of monetization. Let your supporters contribute to your cause with just a couple of clicks! Politics is all about connections. With a NING social website, you can make new connections every day! Gather your supporters, volunteers, and sponsors under one roof online and keep in touch with them using private or group messages, broadcast messages, and live chat. Ready to Accomplish Your Political Goals? 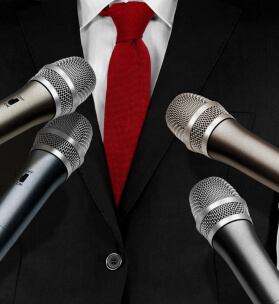 Information and communication are two pillars of a successful political campaign. And what can deliver information and encourage communication better than a professional political website? NING is a perfect website builder for all who deals with politics or simply takes interest in it. Why create a political website anyway? It depends on your goals. 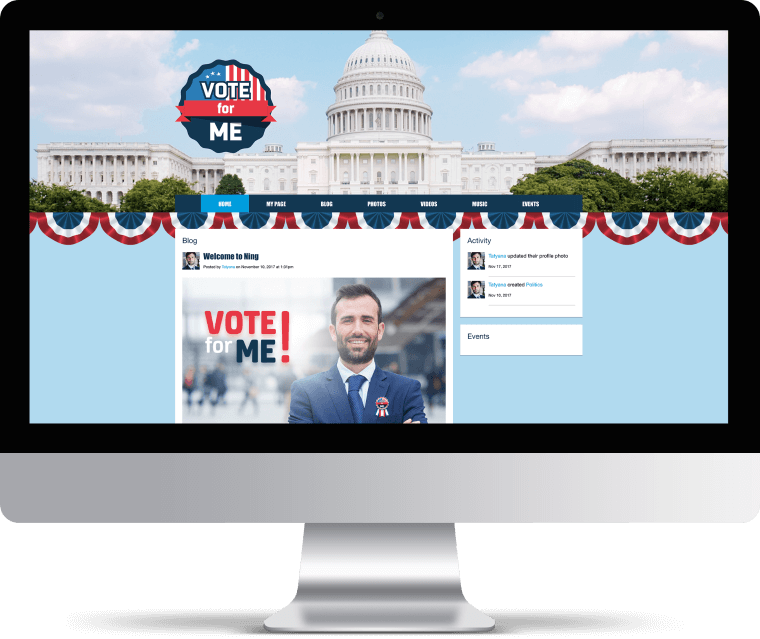 If you are a political candidate, your website will let people know more about you as a person and your political agenda, allow volunteers and sponsors to contact you, and even enable voters to donate money for your campaign. 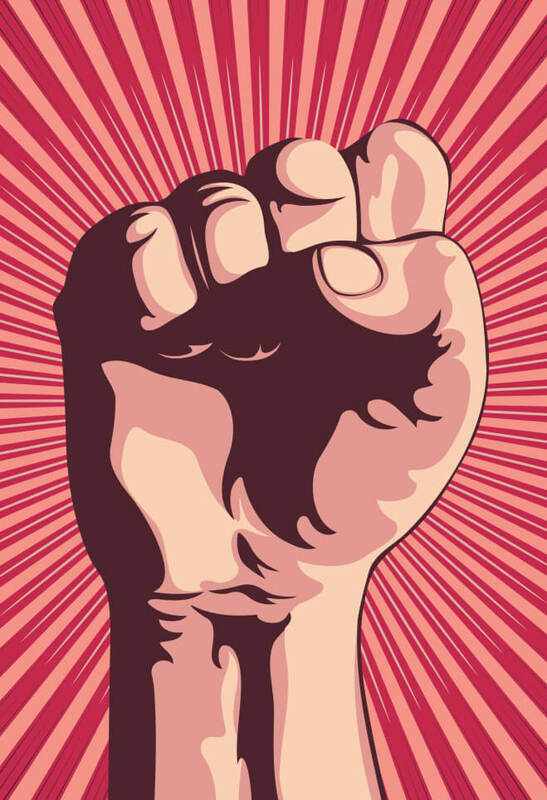 If you are not a politician but are interested in politics and want to discuss it with the like-minded, create an online political community where members will share opinions, talk about relevant political events, or consolidate for achieving a common goal or influencing local political forces. schedule meetups and conferences, announce volunteer opportunities and invite your supporters to join important events. share interesting content with your audience to keep them engaged. get in touch with your supporters, sponsors, and volunteers by means of private or group messages and live chat. expand your outreach by enabling network members to share your website content on popular social media. collect voluntary donations for your political campaign. Create a political website on NING to promote yourself as a candidate, reach out to supporters, and fund your campaigns. Growing your influence and reputation online is now easier than ever before!